Wat is dit voor site? Wij zoeken de goedkoopste boeken op internet. Christians in the Warsaw Ghettovonden we het goedkoopst op Bol.com voor €24.99. We hebben gezocht in nieuwe en tweedehands boeken. Rechtsonderaan de pagina kan je het boek direct bestellen	via Bol	.com. During the early 1940s some 5,000 Christians of Jewish origin lived in the Warsaw Ghetto. In this remarkable book, which combines both memoir and historical analysis, Peter F. Dembowski describes their fate. He also brings to light the little known fact that within the Warsaw Ghetto were fully functioning Christian churches, including at first three and later two Roman Catholic parishes. Dembowski contends that Nazi ideology, particularly the Nuremberg Laws, destroyed the distinction between anti-Judaism and anti-Semitism. Jews were defined by, and persecuted because of, their race rather than their religious beliefs. 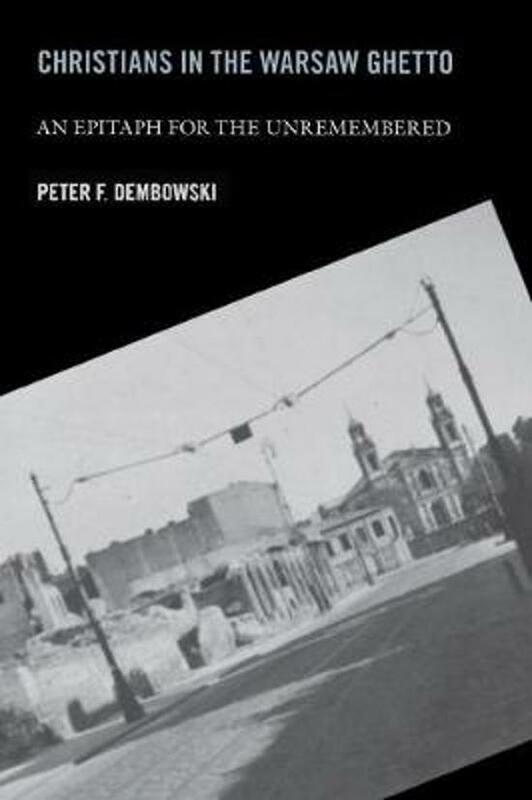 As a member of a family of Christianized Jews with many friends who lived in the Warsaw Ghetto, Dembowski offers a rich portrait of Jewish Christians and their fate in the Ghetto. An interesting aspect of his account is his description of Jewish views toward Christian converts. Dembowski stresses the historical importance of counting baptized, practicing Christians among Jews in the Ghetto, as well as their difficult social situation within the Ghetto. At the same time, he is sensitive to the pain that Christian conversion caused both secular and religious Jews. This unique narrative offers a nuanced portrayal of its subject and adds an important dimension to Holocaust studies. It will be welcomed by general readers and scholars alike.